We want to welcome you to our family of patients. Dr. Tanabe is an oral surgeon practicing in Whittier, California. He is committed to provide the highest quality of treatments in oral and maxillofacial surgery such as extraction of wisdom teeth, dental implants, and in-office general anesthesia and sedation. 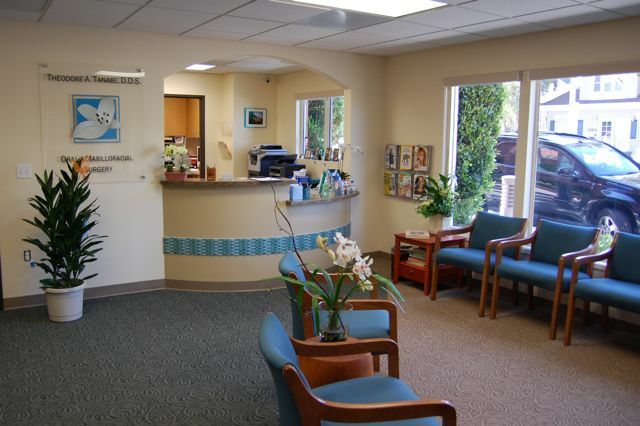 Our office serves patients of all ages from Whittier and cities nearby, such as La Habra, La Habra Heights, Hacienda Heights, Montebello, Pico Rivera, Downey, Norwalk, and La Mirada. Our office is located at the corner of Hadley Street and Washington Avenue in Uptown Whittier, only one mile from our old location on Painter Avenue. The contact phone numbers and email are the same. The new address is 13203 Hadley Street, Suite 101, Whittier, CA 90601. When you visit our office in Whittier, taking care of your oral surgery concern is our top priority, whether it involves a single tooth or your entire mouth. Our entire team is dedicated to providing you with the personalized, gentle care that you deserve. Part of our commitment to serving our patients includes providing information that helps you make informed decisions about your surgical treatment. This web site is a resource we hope you’ll find both useful and interesting. We genuinely hope this site helps you learn more about our practice and the kinds of treatment we provide. And if you prefer to complete our patient information forms prior to your visit from the comfort of your own home, they are available to you on our site to print out, fill in, and bring to your appointment. When you visit our office you will have guest access to our WiFi network to allow you to browse the internet or work remotely while you are waiting. We also work with Care Credit to give you an excellent option for financing the cost of treatment you might need.